Now I am up to date and after this post I will to report on progress of the quilts rather than just "showing off" the finished pieces. 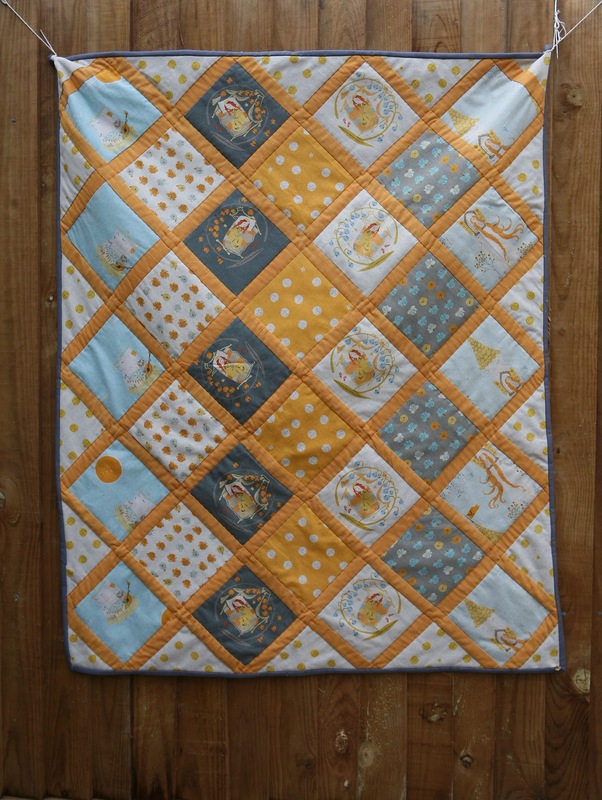 This is the latest finished quilt and it is from Heather Ross' most wonderful latest collection Far Far Away II. 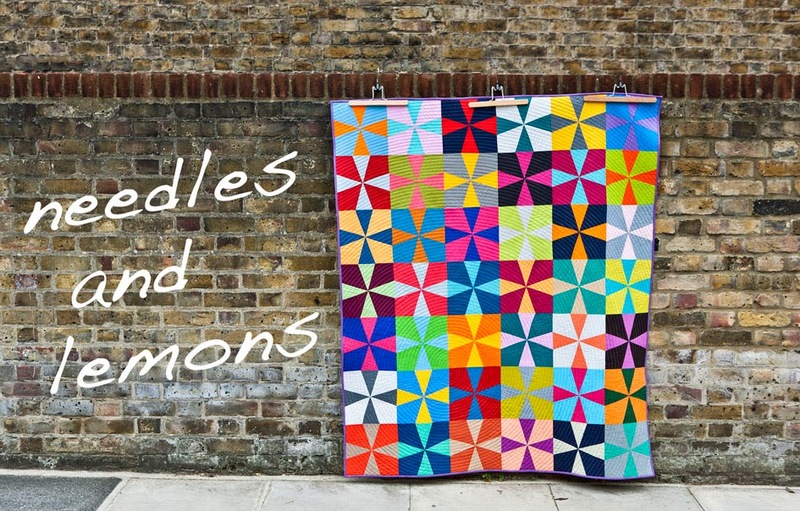 I have seen many wonderful quilts made from this great range over the past months and in particular love the versions from Rita at Red Pepper Quilts and Ashley at Film in the Fridge. I made a baby quilt from the Aqua Palet (again Aqua!) 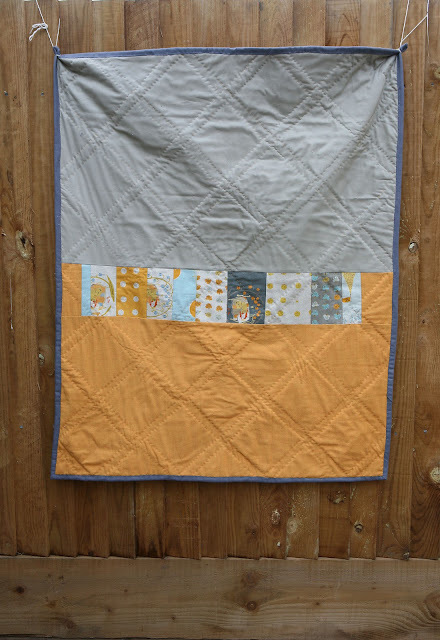 made of squares with a sashing in a very soft cotton in Tangerine. The back is made from Kona in Ash and the Tangerine fabric from the sashing plus some left overs from fussy cutting the squares. I do love using leftovers in this way. The squares are 5x5 inches and the sashing about 3/4 inch. The quilt is 32 by 36 inches in size. Judith that is really beautiful , love it ! Absolutely gorgeous! I have some fat quarters that I cannot bear to cut up yet. How is the canvas to hand quilt? The canvas is fairly easy to hand quilt though it is initially a little togher due to its linen content. I know the feeling of not wanting to cut it up...... but if you do you will be rewarded.